One of the fastest-growing online activities in the world, there are millions of bingo players contributing towards a billion-dollar industry. Essentially the same game that has been played out for centuries, online bingo employs computer technology to improve a classic. Bingo cards and bingo callers have their virtual equivalents, and the social element of the traditional bingo hall is recreated via chatrooms which allow you to communicate with other players in real time. Online Bingo can be played purely for for fun, and sites like Jackpotjoy.com offer demo versions to players interested in dipping their toe in the water without depositing money. However, the paid versions of the bingo, with cash prizes, is understandably a lot more popular! Most bingo sites – including Jackpotjoy - provide other services like casino games, slots and poker rooms. 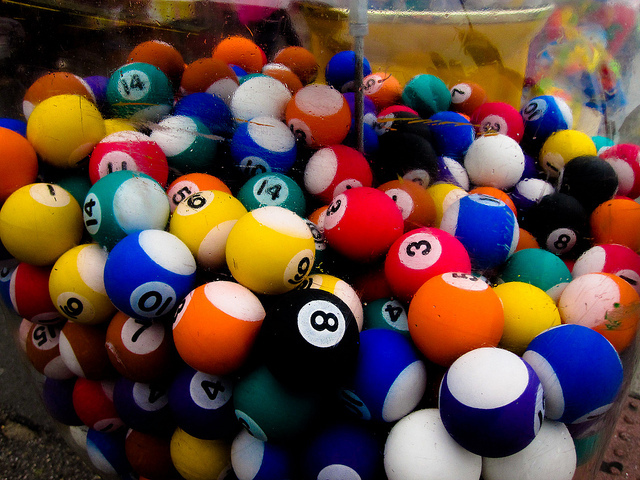 There are two main variations on the game: 75-ball bingo, and 90-ball bingo. The 75-ball version was traditionally more popular in Canada and the USA, and the 90-ball version imore common in Europe, Australia, and South America. The internet age has all but eliminated these regional distinctions, and hundreds of versions of bingo are now available to anyone, anywhere with an internet connection. Irrespective of the number of balls involved, the aim of the game is to mark off numbers on a card in a pre-determined pattern. The range of patterns used in 75-ball bingo can vary quite dramatically, from simple, straight lines to more complicated configurations. In contrast, the patterns used in 90-ball bingo are usually more straightforward. The cards consist of three horizontal lines and nine columns. Column One contains numbers from 1-9, Column Two has numbers from 10-19, and so on up to the final column which contains numbers from 80-90. Each row has five numbers, and there are three rows on each card, which makes fifteen numbers on each card. Traditionally, prizes are given out to the first person who completes one line on their card, the first to complete two, and the first to get a ‘full house’, which is when all numbers on a card have been marked. The internet revolution has brought about so much choice that every bingo site not only differs from others, they usually contain a wide range of options within their own pages. Try Jackpotjoy.com for one of the widest selections of bingo games out there. And best of luck!